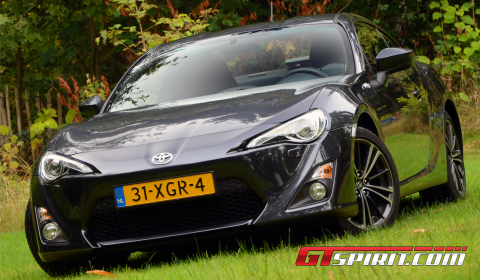 It isn’t often that you are offered the chance to drive a brand new sports car from Japan. 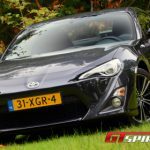 Despite being small and actually rather slow, the brand new Toyota GT86, the soul sister of the Subaru BRZ and Scion FR-S, has been getting a lot of praise recently. Initially didn’t pay too much attention to this particular range of cars, so we wen’t into this review not really knowing a great deal. Without high expectations but with modest levels of anticipation, we stepped behind the wheel of the Japan’s latest, and supposedly greatest, driving machine. 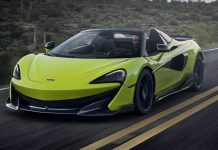 With the keys to the little coupe in our hands and the basics in our head – a high revving 200hp 2.0 liter boxer engine, lightweight chassis and rear-wheel drive – we set off. Our car was a Dark Grey metallic GT86. The clean color and its sharp lines were combined with 17 inch two-tone wheels, an interesting body package and contrasting white taillights. This theme continued into the interior. Except for a few nice details, the overall feel inside the cabin is rather economical, but it has its own unique charm. 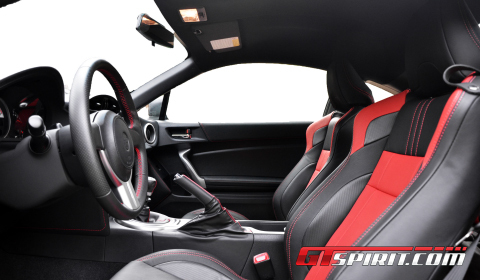 Toyota choose to keep the GT86 interior basic and simple. Instead, they focused on the car’s balance and handling. Something which becomes clearly visible after just a few meters with the GT86. As a driver you completely forget about the sloppy interior, you focus only on the true driving manner of this little sports car. Our test drive started in a parking lot. Normally we wouldn’t tell you these sorts of details but for the the fun we had. In the middle of the lot, there was a row of light poles which provided the perfect aim that enabled us to check out the true handling characteristics of the car. For lack of a better set of words, we can only say one thing; Damn, it handles brilliantly! They still know how to make fun cars at Toyota! After the Toyota 2000 GT (built between 1967-1970) and the famous Supra’s, build between 1978 and 2002, they have now opened the page for a new chapter in the history of the Japanese sports car. 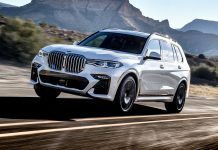 The strength of the package is the fact that there aren’t many competitors, who can deliver such a capable rear-wheel drive package at such a reasonable price level. However, don’t expect a car optimised for traction or to put in fast lap times. This is a sports car developed to take on the same lap, but with as much fun as possible. It continuously wants to step out from the ideal racing line. Thanks to the narrow tires and the fast throttle throttle response, it throws the back out every single time you want it to. Anyone can drift around those light poles as if they were Ken Block or Tanner Foust! It’s definitely one of the easiest drift cars we have ever come across. Now combine this with a thorough shake down on our favourite “testing roads” and we felt like we had become part of the car. It simply does exactly what you want it to do, when you ask it to do it. The key ingredients are indicate that this is a true driver’s car! Although it looks like a fast car, it isn’t really. Under the hood of the GT86, Toyota fitted a 2.0 liter direct injection petrol engine producing stock performance figures of 197bhp and 205Nm. The available transmissions are either a six-speed automatic or six-speed manual gearbox. We had the latter option in our test car. The performance is the only real downside of owning the GT86. 0-100km/h takes 7.6 seconds. Not your average sports car figure, but reasonable while looking at the package. The hassle starts when you would like to overtake at highway speeds. It simply lacks power and it takes a century to reach 200km/h. But you have to put this into perspective, the GT86 is not build for the purpose of ultimate performance. 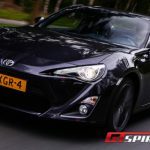 Performance upgrades using superchargers and turbochargers are being considered and developed as we speak by Toyota and many tuners across the globe. An example of this need for power is the Subaru BRZ we drove several months ago. It received a modest power upgrade while awaiting a supercharger upgrade. The upgrade will touch the 300hp-mark without spoiling the characteristics of the original car. A very nice option and a definite must-have to this driver’s car. The moment of truth! Our final conclusion after many days inside the GT86. In our opinion it makes a nine out of ten, and only because of the lack of power. 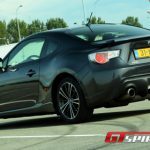 The stock GT86 is close to what you expect from a complete sports car, but on the subject of performance there is room for improvement. 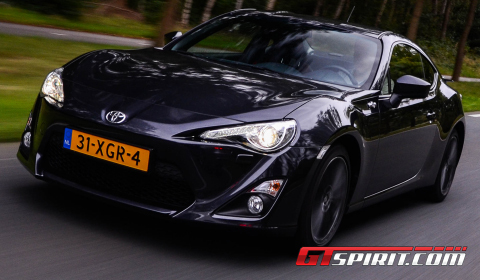 Has the GT86 entered our preferred buying list? Yes, it definitely did! For those who are considering buying the Japanese sports car, you will receive a driver’s car for true enthusiasts, who look through the interior and the lack of power to admire what is one of the most beautiful pieces of technology. For us it is clearly the best value-for-money sports car since the modern MINI offering loads of fun and enjoyment.